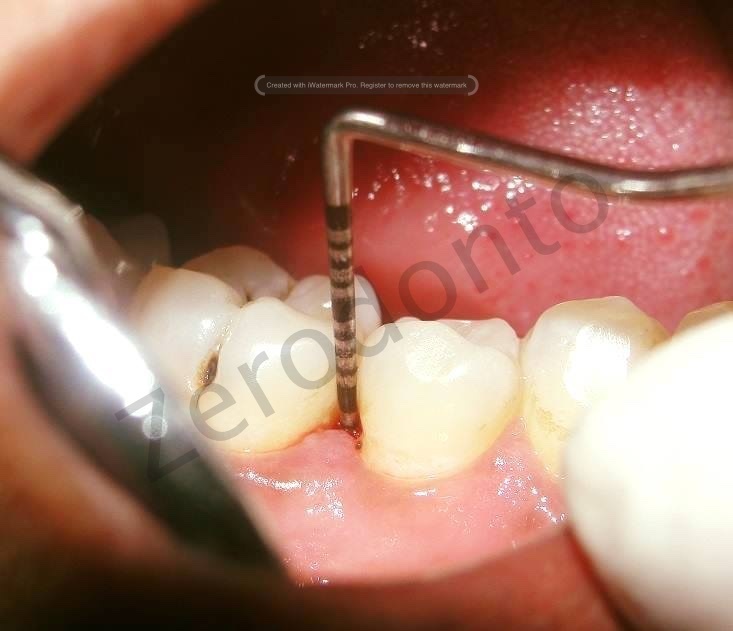 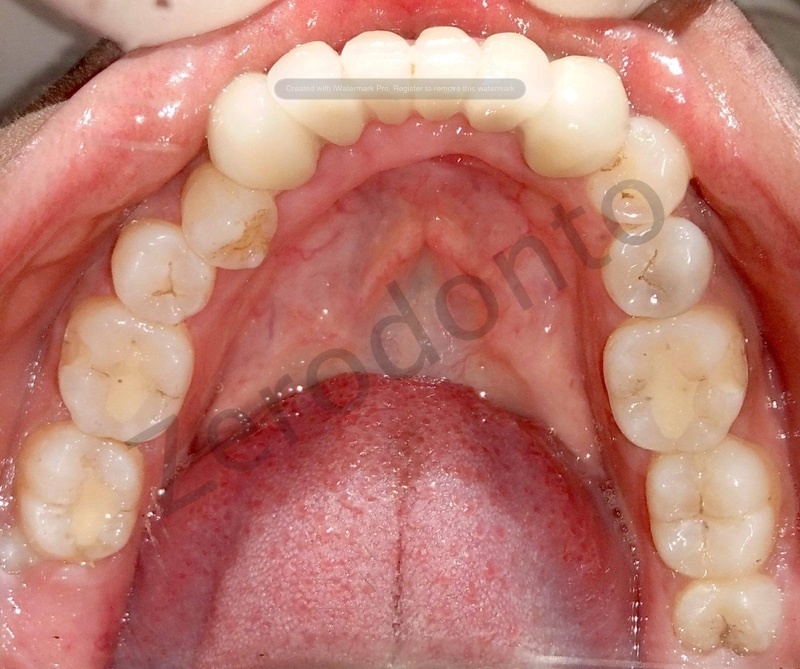 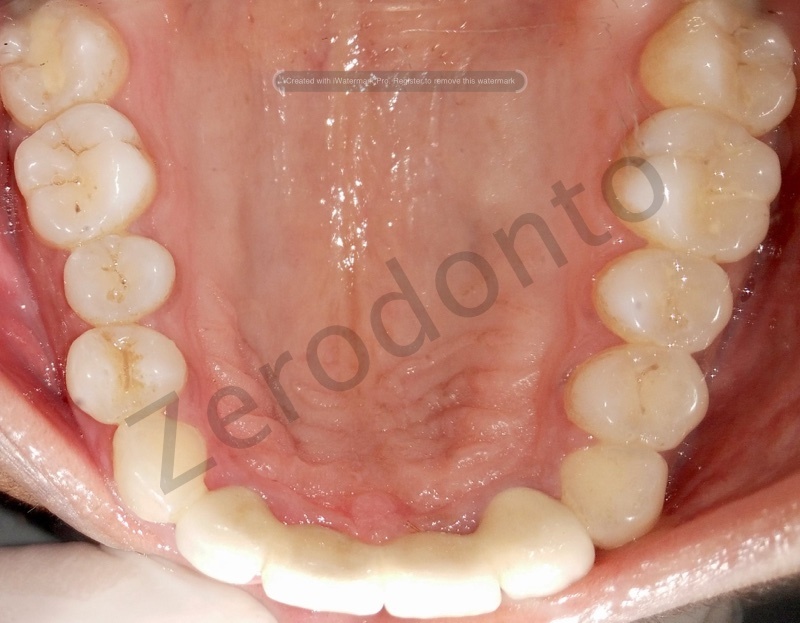 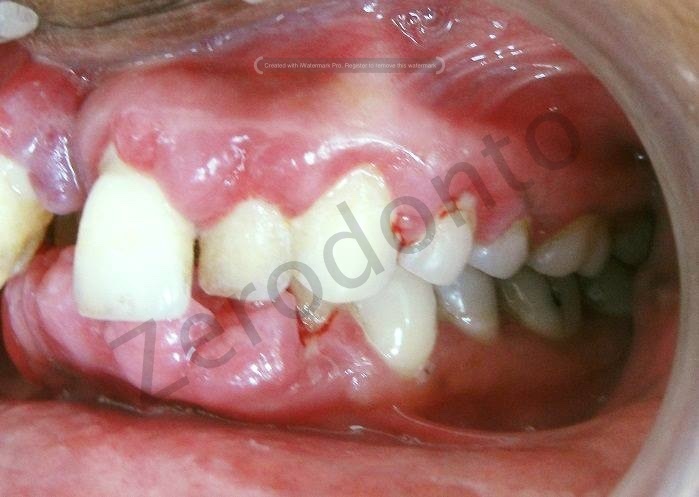 Case history- 32-year-old female patient with a chief complaint of swollen gums since 1½ years. 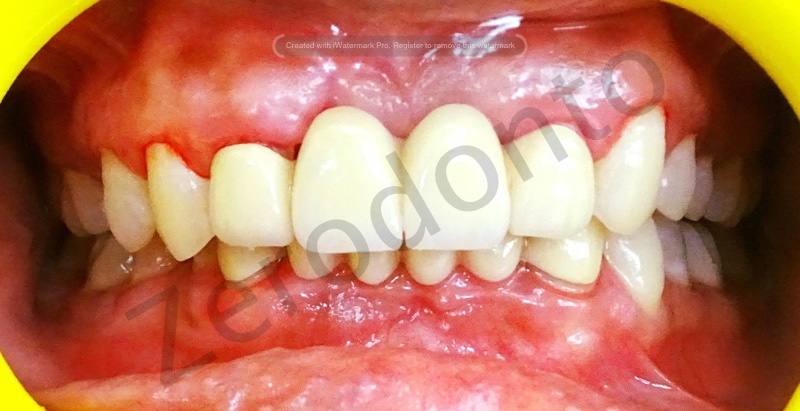 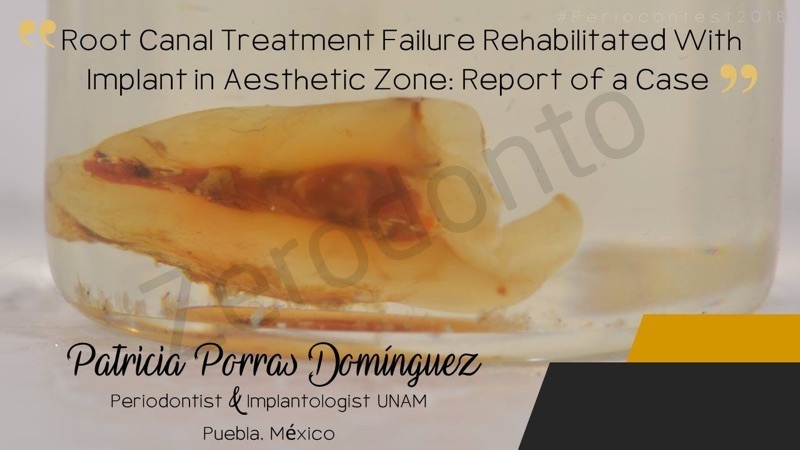 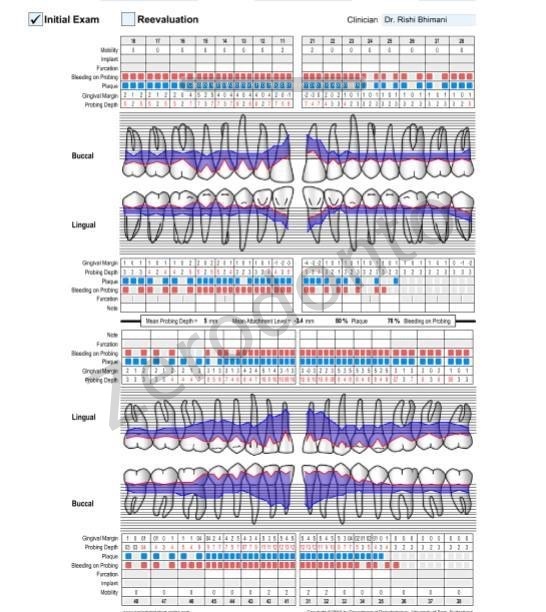 Gradually, she started to develop swelling of the gums in the maxillary and mandibular anterior region that was spreading posteriorly, to involve the entire gingiva. 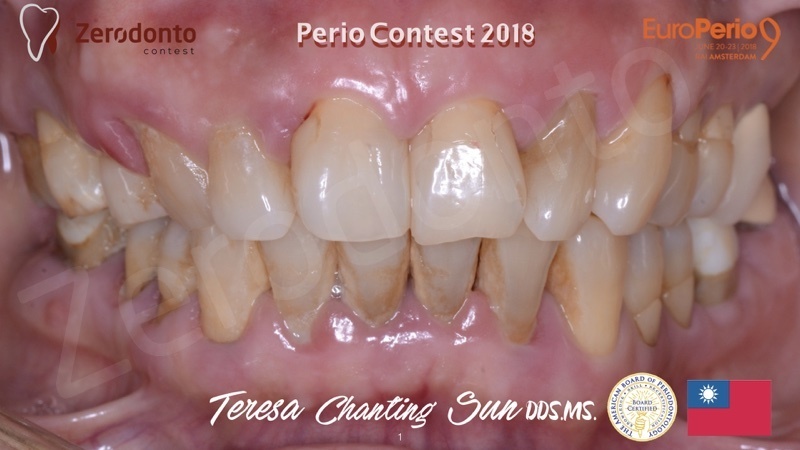 concerned about the esthetic disfigurement. 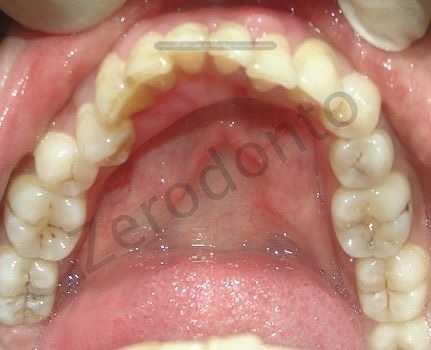 were checked bi-annually as a protocol. 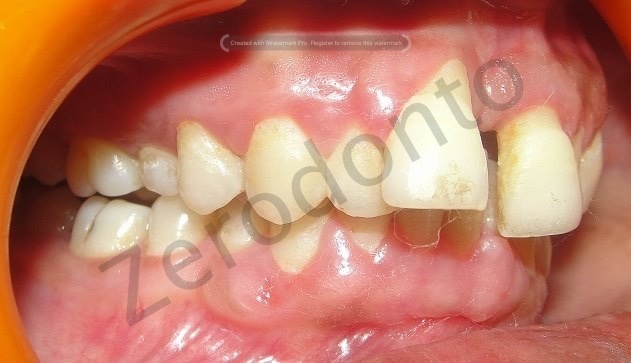 PRE-TREATMENT- frontal, right, left and occlusal showing grade 2 to grade 3 gingival enlargement (Bokenkemp & Bonhorst, 1994), pathologic migration irt 11, 21, extruded lower anteriors and severe deep bite. 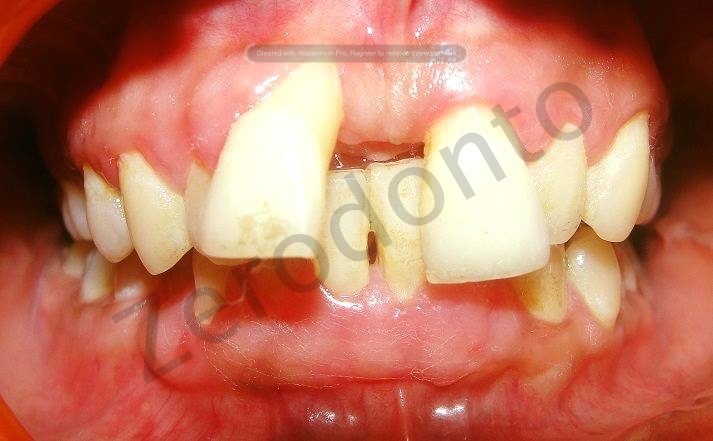 prevent gingival trauma. 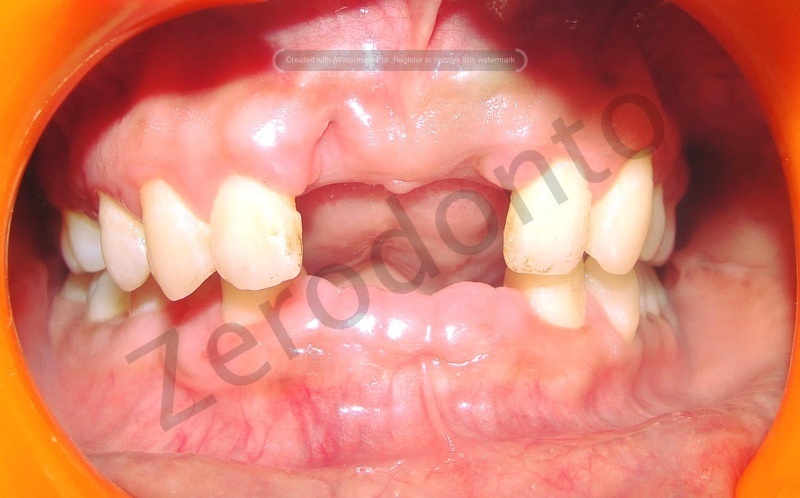 NSPT was repeated every 4 weeks and an astonishing improvement was seen. 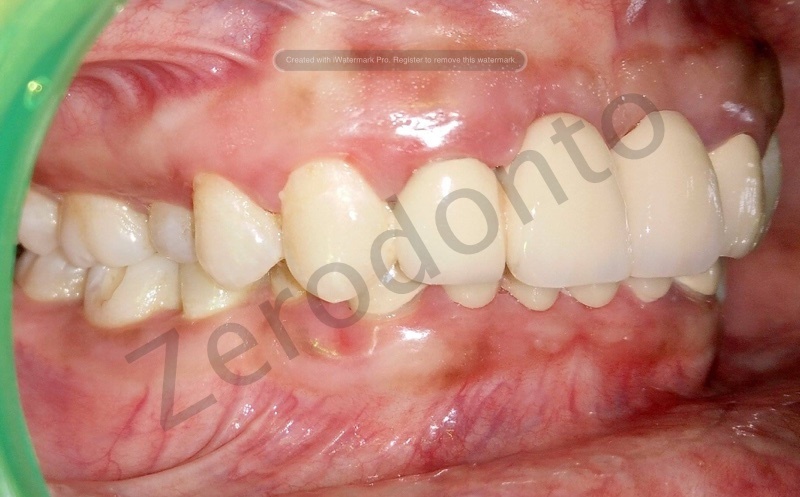 3-MONTHS FOLLOW UP- Photos show a nearly normal gingival contour, stippling and resilience. 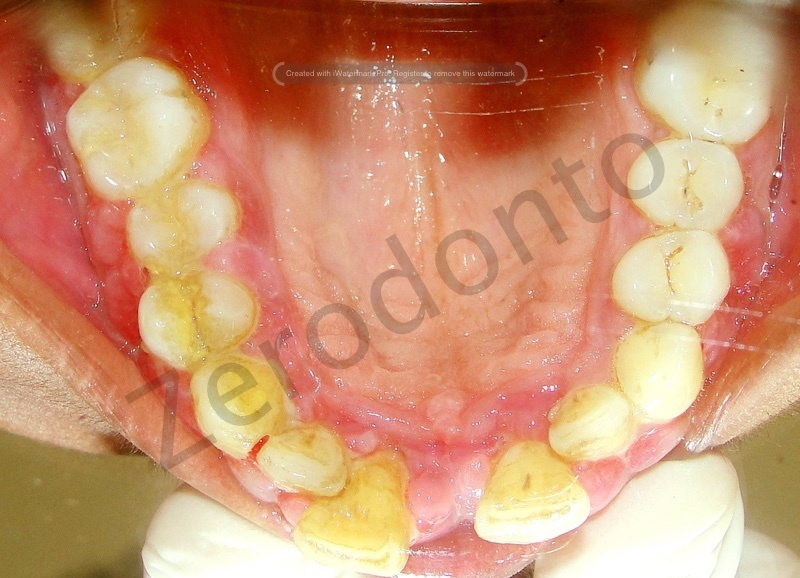 EXTRACTION of compromised anterior teeth was done. 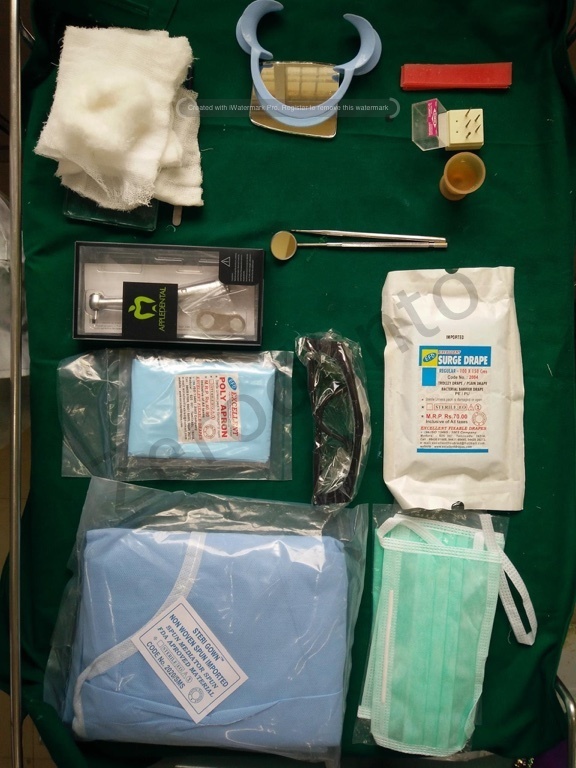 Local drug delivery with resorbable tetracycline fibers was done to treat a pocket between 45 and 46. 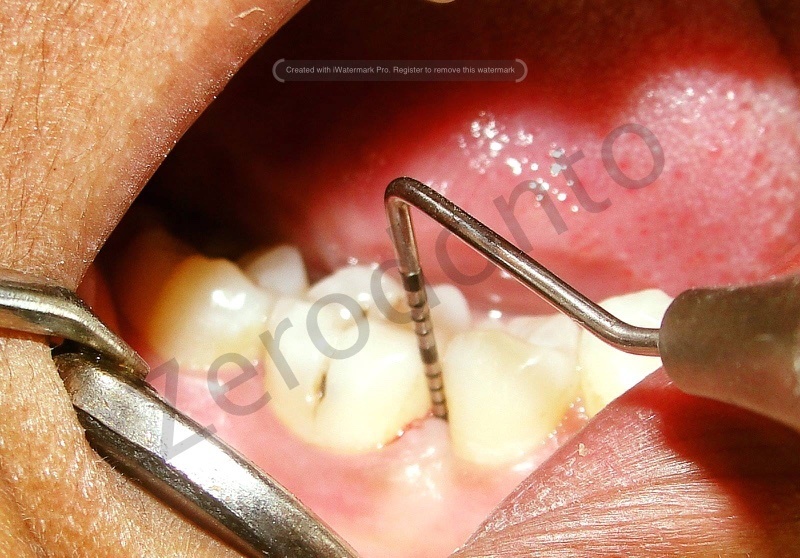 The pocket probing depth was reduced from 6 mm to 3 mm. 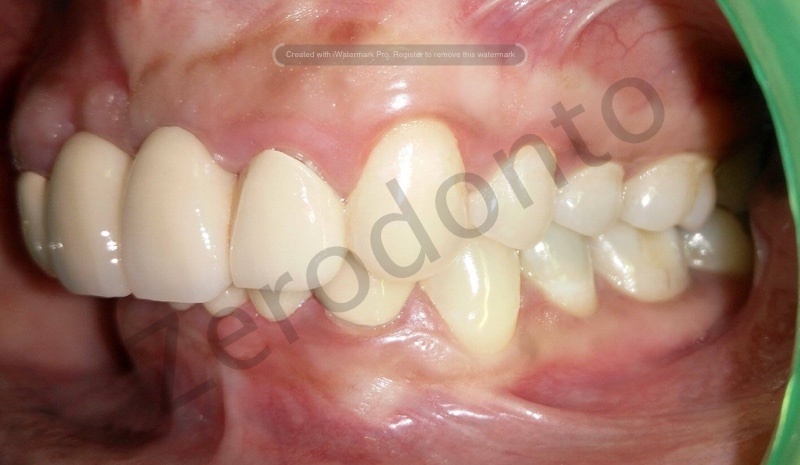 Prosthetic rehabilitation was planned with fixed partial dentures in both arches. 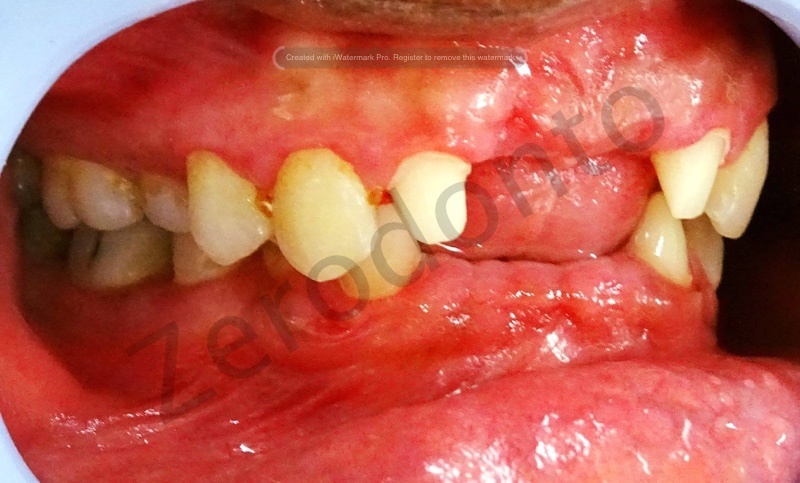 The patient understood the importance of this therapy and maintained her oral cavity well. 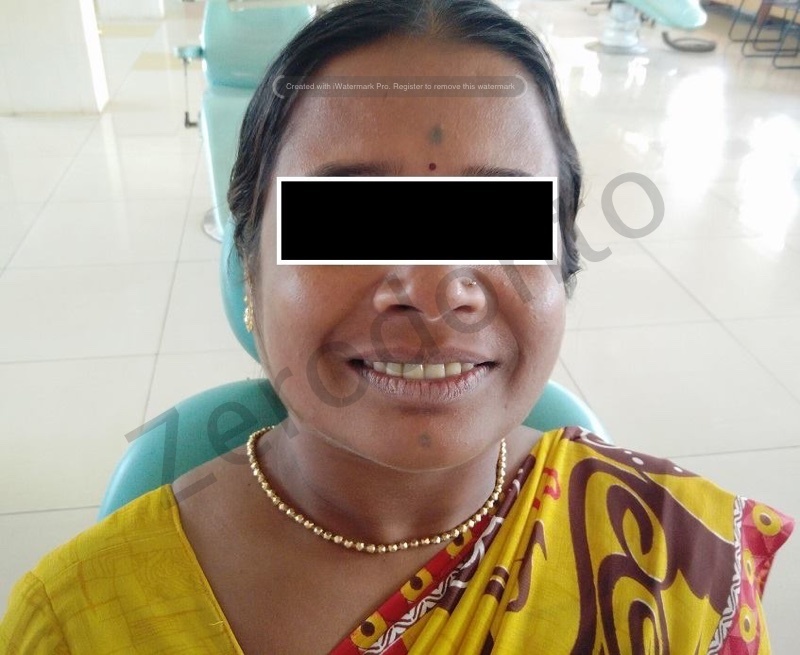 She was followed by for 6 months post-prosthetic treatment and is doing well till date. 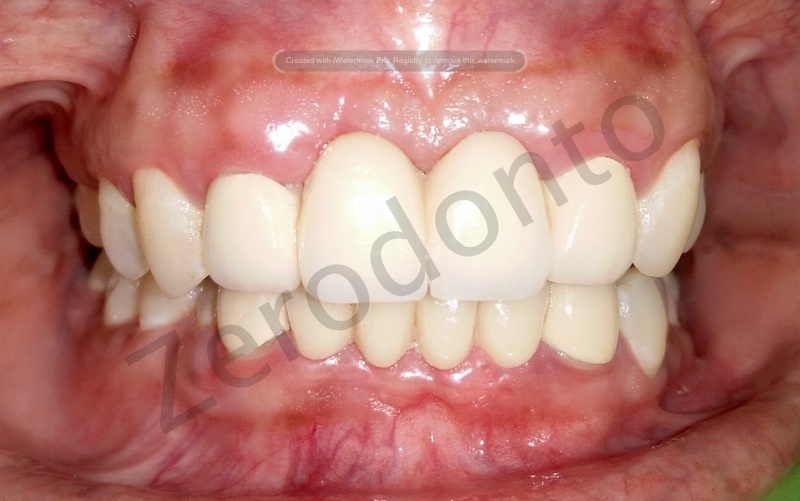 the entire case took about 1.5 years from the start up to final follow-up. 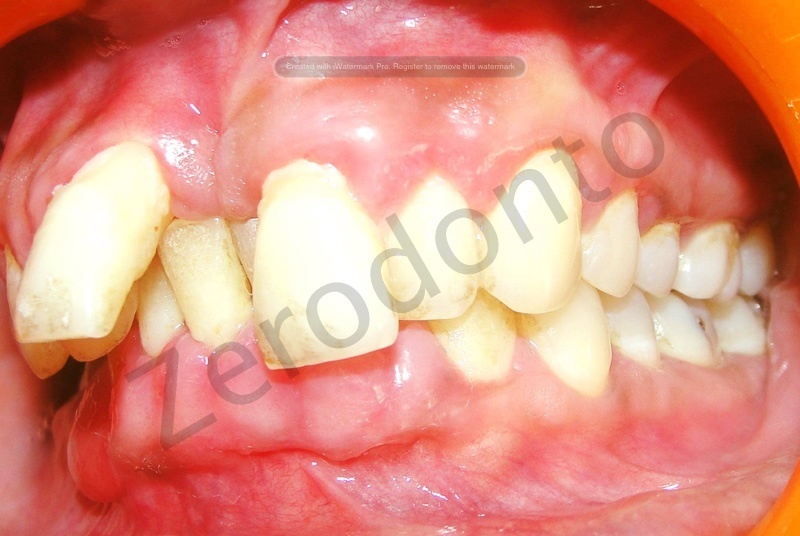 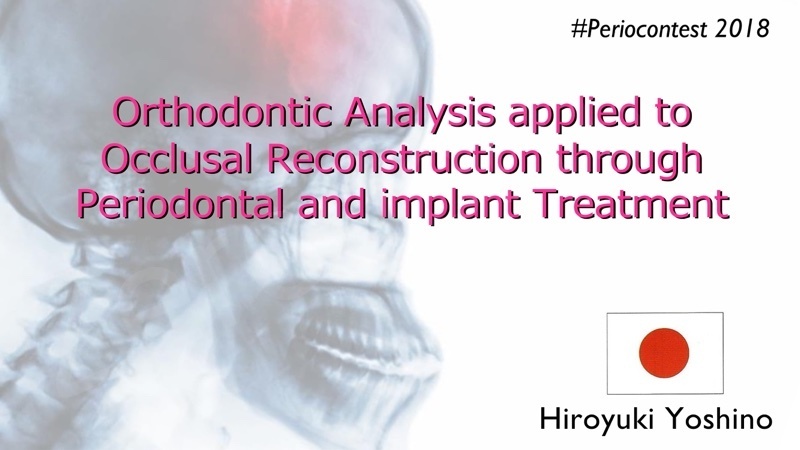 So, Non-surgical periodontal therapy is an extremely powerful tool and this case proves it. 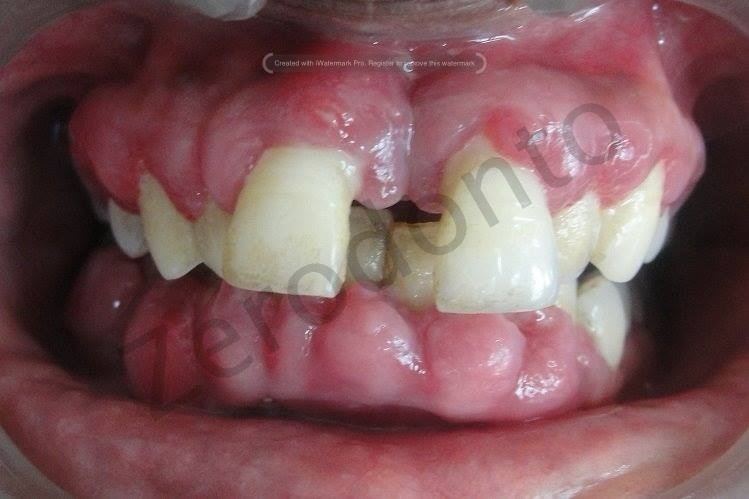 Power of NSPT and Supportive periodontal therapy should never be underestimated.